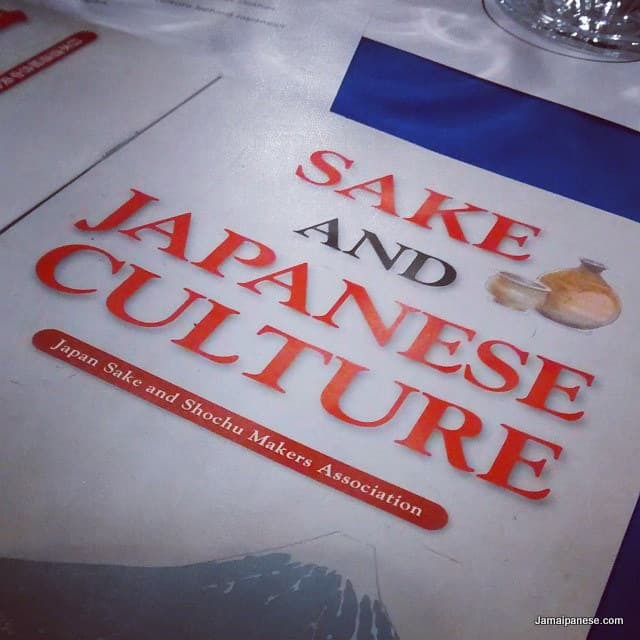 On Thursday November 6th 2014 I was invited to a special Japanese Sake presentation and tasting event put on my the Japanese Embassy and hosted by the Jamaica Pegasus Hotel. The event was part of ongoing celebrations that mark the 50th year of diplomatic relations between Jamaica and Japan. Two special guests direct from Japan were present. Keisuke Irie who was representing the Japan Sake and Shochu Makers Association and Noriyoshi Nagai President of Nagai Sake Inc. It was a very educational night where I learned about how Sake is produced and its rich history and cultural significance to the Japanese people. I sampled 6 different Sake for the night all expertly made by Nagai Sake Inc and although my head was a little lighter by the end of the night it was an excellent and very educational event which provided an insight into how sake is made. My most important lesson for the night was that sake is produced by a brewing process more like that of beer and that it is erroneously referred to as rice wine. The short video below does an excellent job of showing how sake is made from start to finish with the various processes in-between. I was fascinated by the attention to detail. Is learning Japanese with Anime, Manga and Video Games possible?